I’m personally not a fan of intuitive eating or mindful eating and this isn’t actually what I teach. 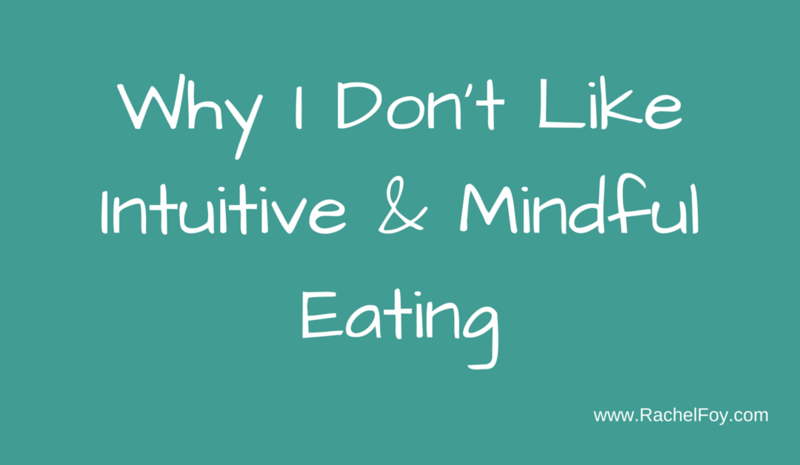 I see and hear women talk about mindful eating and intuitive eating and yet they are stressing about ‘getting it right’ and only eating when hungry and never over eating. They have rules around food (despite not dieting anymore they still have rules!!) and as soon as you have some kind of rules around food, that is an automatic trigger for overeating, binging and feeling guilty by your eating habits. Let me know in the comments what you thought. Have you tried intuitive eating? Did it make you feel stressed and obsessed about the rules? ?